Since the 9/11 attacks, researchers in the United States have conducted exceptionally cruel, even superfluous, experiments on animals to develop countermeasures to weapons of mass destruction. But as BuzzFeed reporter Peter Aldhous asks: Is all this suffering really necessary? Monkeys, says Aldhous, “are the unsung heroes of the war on terror — or its hidden innocent victims, depending on your point of view.” He points to experiments in which monkeys, mostly rhesus macaques, long-tailed macaques, and African green monkeys, have been deliberately infected with deadly bacteria and viruses. In many cases, these experiments result in excessive cruelty and often death. If it weren’t for biodefense, says Aldhous, these sorts of experiments would be on the decline. Is the suffering of all these monkeys justified? Some experts consulted by BuzzFeed News argued that the research is necessary if we want to have drugs and vaccines to protect against a devastating terrorist attack. 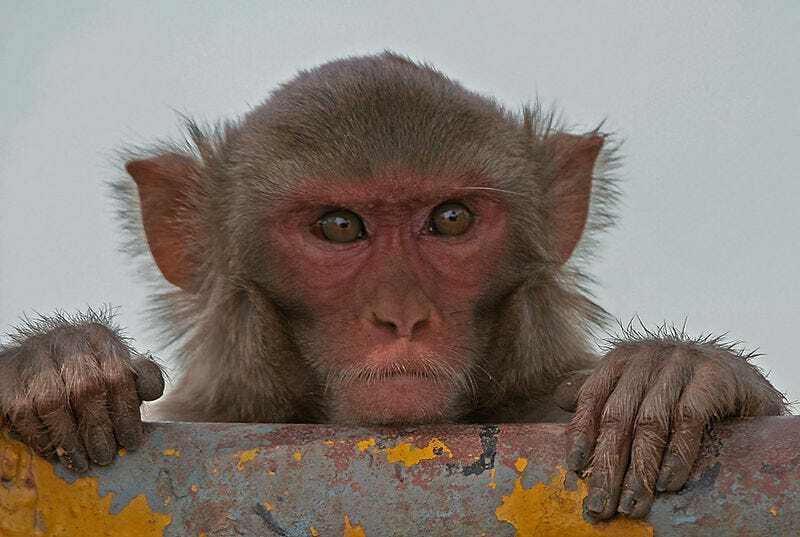 But monkeys are not always the best model for whether a drug or vaccine will work in people. Even when they are, some researchers have deep misgivings about the large numbers of monkeys that have been used in studies that condemn many to severe illness and death. Regrettably, there’s no viable alternative to animal experimentation; but as we’ve pointed out here at io9 before, that’s set to change. Be sure to read the entire article at BuzzFeed.